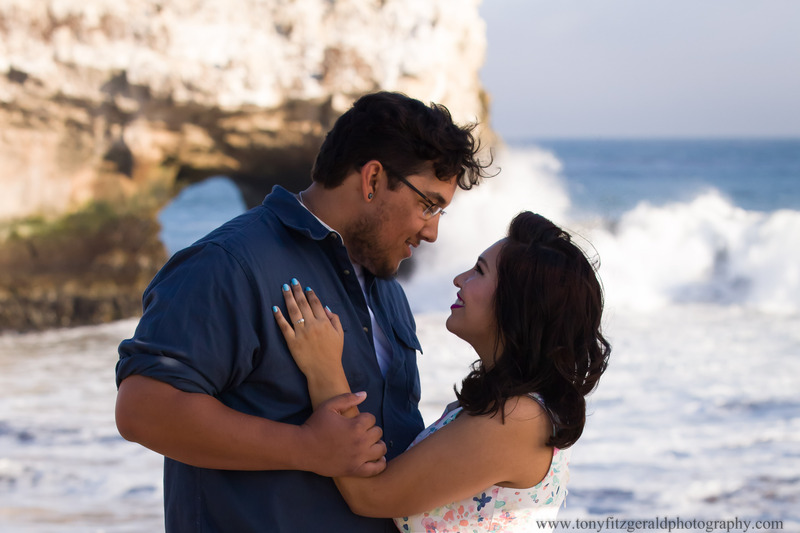 Nicole and Aaron are planning their wedding in 2016 and started with an engagement session on the beach. Nicole had been to this beach for picnics, so the location was special, and now it will be special for another reason. We especially loved the colors Nicole chose to wear, because they made the photos really pop with color. Add the crashing waves and the photos look like a scene from a romantic movie. The photos were taken at Natural Bridges State Park in Santa Cruz California.